Mr. Chetan Raikar, Past President of the India Chapter as well as the Chairman & Managing Director of Structwel Designers and Consultants Pvt. Ltd. has received the celebrated Platinum Award for ‘Engineering conservation of the earthquake-affected stone masonry palace and temple at Morvi, Gujarat’. Chetan is the fortunate son of the late R. N. Raikar, who was instrumental in the formation of the India Chapter of American Concrete Institute (ICACI). 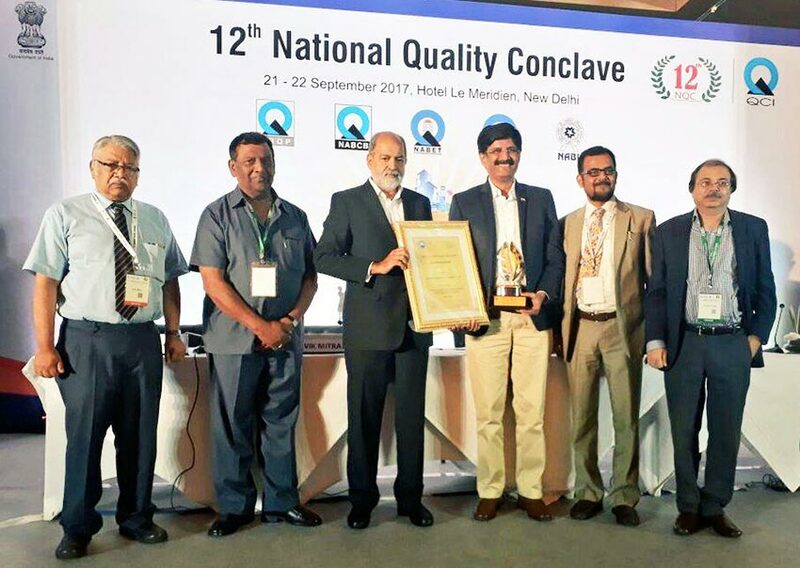 Structwel, under the leadership of Chetan, qualified for and won the intensely-contested national level competition conducted by the Quality Council of India (QCI). The accolade was bestowed on Structwel at the QCI – D.L.SHAH Awards 2017 ceremony held in New Delhi earlier this year. Conducted yearly, the QCI – D.L.SHAH Awards present organizations with an opportunity to showcase their best-practices on quality excellence as well as to share their success stories. The structure, known as Wagh Mandir, is a 100-year old load-bearing stone masonry. It was devastated in the earthquake of 2001 and remained unattended till the late 2009. The funds needed for the engineering conservation of the structure were granted by the Royal Family of Morvi. 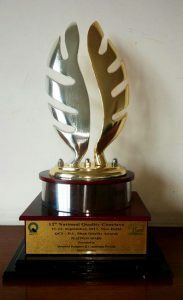 Quality Council of India (QCI) was set up jointly by the Government of India and the Indian Industry. It aims to establish and operate a national accreditation structure, and promote quality through National Quality campaigns. The India Chapter is proud of its Directorial team, with each Director representing the best of his/her industry within the country. Note: Paper should be submitted in Word format and NOT in PDF format. The abstract should summarise the rationale of the work reported in two or three sentences, aims and objectives, a brief summary of the research methodology and procedures, key conclusions and relevance of the findings to academic or practical applications. It should not be longer than 500 words, but preferably less than 300 words. Keywords: List up to six relevant keywords describing the content of the paper. Please start your introduction here with five character space. The introduction should provide a description of the context of the work, a brief review of the state-of-the-art, citing appropriate literature, scientific rationale of the work carried out/described in the paper and an unambiguous statement of aims and objectives of the work reported in the paper. Use appropriate paragraph breaks to separate different aspects that you want to introduce. There should not be any additional line break between paragraphs. Put your introduction here. Put your introduction here. Put your introduction here. Please put your introduction here. Put your introduction here. Put your introduction here. Put your introduction here. Put your introduction here. Put your introduction Put your introduction here. Please put your introduction here. Put your introduction here. Put your introduction here. Put your introduction here. Put your introduction here. Put your introduction Put your introduction here. Put your introduction here. Put your introduction here. Please put your introduction here. Put your introduction here. Put your introduction here. Put your introduction here. Put your introduction here. Please put your introduction here. Put your introduction here. Put your introduction here. Put your introduction here. Put your introduction here. Put your introduction Put your introduction here. Please put your introduction here. Put your introduction here. Put your introduction here. Put your introduction here. Put your introduction here. Put your introduction Put your introduction here. Put your introduction here. Put your introduction here. Put your introduction here. Put your introduction here. Put your introduction here. Put your introduction here. Put your introduction here. Please put your introduction here. Put your introduction here. Put your introduction here. Put your introduction here. Put your introduction here. Put your introduction Put your introduction here. Put your introduction here. Please put your introduction here. Put your introduction here. Put your introduction here. Put your introduction here. Put your introduction here. Please put your introduction here. Put your introduction here. Put your introduction here. Put your introduction here. Put your introduction here. Please put your introduction here. Put your introduction here. Put your introduction here. Put your introduction here. Put your introduction here. Put your introduction Put your introduction here. Please put your introduction here. Put your introduction here. Put your introduction here. Please put the next section here. Please put the next section here. Please put the next section here. Please put the next section here. Please put the next section here. Please put the next section here. Please put the next section here. Please put the next section here. Please put the next section here. Please put the next section here. Please put the next section here. Please put the next section here. Please put the next section here. Please put the next section here. Please put the next section here. Please put the next section here. Please put the next section here. Please put the next section here. Please put the next section here. Please put the next section here. Please put the next section here. Please put the next section here. Please put the next section here. Please put the next section here. Please put the next section here. Please put the next section here. Please put the next section here. Please put the next section here. Please put the next section here. Please put the next section here. Please put the next section here. Please put the next section here. Please put the next section here. Please put the text here. Please put the text here. Please put the text here. Please put the text here. Please put the text here. Please put the text here. Please put the text here. Please put the text here. Please put the text here. Please put the text here. Please put the text here. Please put the text here. Please put the text here. Please put the text here. Please put the text here. Please put the text here. Please put the text here. Please put the text here. Please put the text here. And continue through to the end of the paper. With references entered in the text as (Brew and Glasser, 2005) and listed in the references as shown in the reference section. State first any context/validity of the conclusions to follow as an introductory paragraph. Please put the text here. Please put the text here. Please put the text here. Please put the text here. Please put the text here. Please put the text here. Please put the text here. Please put the text here. List conclusions one by one. Conclusion 2 to be summarised here and so on. State here any organisation or person the authors would like to acknowledge for their contribution to the work reported in the paper. Please put the text here. Please put the text here. Please put the text here. Please put the text here. Please put the text here. Please put the text here. Please put the text here. Please put the text here. Brew, D.R.M., Glasser, F.P., 2005. Synthesis and characterisation of magnesium silicate hydrate gels. Cement and Concrete Research, 35(1):85-98. BSI, 1994. Methods of testing cement. Determination of setting time and soundness. BS EN 196 Part 3. Milestone, N.B., 2006. Reactions in cement encapsulated nuclear wastes: need for toolbox of different cement types. Advances in Applied Ceramics, 105(1):13-20. Shashank V. Mehendale is the founder and Principal Consultant of M/s Shashank Mehendale & Associates (SMA) – a multi-disciplinary organization that has been serving the construction industry for the last two decades. Shashank has been a Gold Medalist and National Merit Scholar and has lot of other firsts to his accreditation. He is B.E. (Civil) from SPCE, M.S. 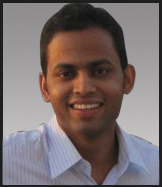 (Structures) from University of New Brunswick, Canada and is pursuing PhD in Structural Engineering from VJTI Mumbai. He is also Master in Construction Management from NICMAR, Mumbai Campus. Due to his expertise in Forensic Engineering, Shashank has been on several committees constituted by the MCGM and Government of Maharashtra to conduct investigations post failure, collapse and fire damage. His organization, SMA, has been bringing ideas to life; ideas that convert houses into homes, offices into institutions, centers of learning into centers of excellence. Projects designed by SMA include residential, commercial, institutional buildings, warehousing facilities and industrial buildings. Furthermore, SMA was appointed by the Asian Development Bank to monitor 2500 heritage structures and three World Heritage sites for Jaipur Metro Rail Corporation Limited (JMRCL). Shashank is a Fellow of the Indian Institution of Engineers and an active member of various professional organizations like India Chapter of American Concrete Institute (ICACI), Practicing Architects, Engineers and Town planners Association (PEATA), Indian Society of Structural Engineers, etc. 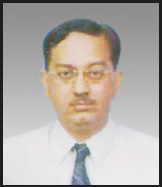 Mr. Shishir Bansal belongs to the 1988 batch of Central Engineering Services. He is presently working as Chief Project Manager of Signature Bridge Project at Wazirabad – under execution by Delhi Tourism and Transportation Development Corporation Ltd.
Mr. Bansal is both, a Civil Engineering graduate, as well as a Law graduate. His post graduate studies focussed on Highways – design, construction and execution. With over 30 years of experience, Mr. Bansal’s expertise in the construction of Flyovers, Underpasses and Bridges is well known. Sustainability in Urban Environment is his favourite subject, and he ensures construction projects under his command meet the sustainability criteria to the extent possible. He has authored more than 25 papers on Infrastructure Projects, Construction and Demolition Waste Recycling and Sustainability. These have been presented at national and international forums like the International Conference on Concrete Sustainability, International Association of Bridge and Structural Engineering, Indian Institution of Bridge Engineers, and FIB (Fédération internationale du béton) amongst others. Besides IC-ACI, Mr. Bansal has been involved with ICI for over a decade and is presently Chairman of ICI-New Delhi Centre. Dr. Vishal Ramesh Thombare has completed his Ph.D from IIT Bombay, and is currently placed as Assistant Engineer Coastal Road in Municipal Corporation of Greater Mumbai (MCGM). His tenure at MCGM started in 1997, starting first with Quality Control, Planning and Research department to then playing a key role in drafting the Mumbai City Master Plan for the next 25 years. Prior to MCGM, he worked with Ultra-Tech Cement where he developed various Mixes for High Performance Concrete. – introduced M60 grade of Concrete in Ultra-thin white topping and Thin white topping. Dr. Thombare was awarded the ‘Outstanding Engineer’ Award on the occasion of Engineer’s Day in 2009. He is on the H-3 and H-9 committee for Indian Road Congress and is a life member of India Chapter of American Concrete Institute (ICACI), Indian Concrete Institute (ICI), Indian Road Congress (IRC) and Institution of Engineers, amongst others. Mr. Suhas R. Barve completed his Bachelor of Technology (B. Tech) from IIT Bombay in 1983. At present he runs his owns consultancy firm, M/s. Barve Consultants, which specializes in Structural Designing, Architectural Planning, Interior Designing, Consultancy for Structural Repairs and PMC for Re-Development etc. Suhas is also a registered and Government of India approved Valuer and Arbitrator. With a stellar career spanning 30 years, spent in the design and construction of industrial residential, commercial and educational complexes, it is no surprise that Suhas was handpicked to be on the panel of Municipal Corporation of Greater Mumbai (MCGM), LIC Housing Finance Ltd., prestigious banks and other noteworthy organizations. Apart from construction of new buildings, Suhas also specializes in structural repairs of old buildings. Furthermore, design of Auditoria buildings involving Acoustics, Audio-Reinforcement, Stage-Lighting, Fire-Fighting & Detection for special buildings, HVAC etc. is his other forte. Suhas serves as visiting faculty to leading Engineering & Architecture colleges. 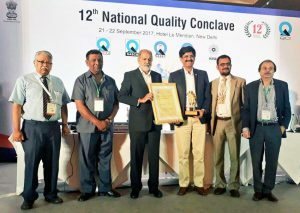 An internationally acclaimed authority on several aspects of cement, manufacturing and concrete technology, Dr. Subrato Chowdhury is the recipient of the ‘Outstanding Concrete Technologist’ Award from Indian Concrete Institute in 2012. 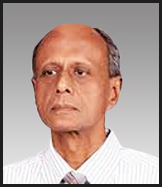 Having devoted over three decades to the research of cement and concrete in Larsen and Toubro Ltd., Dr. Chowdhury has developed a fine expertise in Cement Manufacturing Technology & Concrete Technology, Material Science and Newer Characterization Methodology, Rheology and Processing, Durability Design, High Strength Concrete, Self-Compacting Concrete, and waste utilization and refinement. Dr. Chowdhury has published several papers in national and international journals and delivered many key-note addresses at conferences. 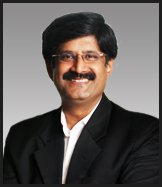 He has also held the prestigious post of Chief – Research and Development, at Aditya Birla, Cement Business Group. Member, American Concrete Institute, USA. A renowned Consulting Structural and Civil Engineer, Mr. Dhupelia has for the past 45 years designed Structures of various kinds and complexities. He has adopted both conventional and modern technologies of construction in his projects spanning large housing and commercial complexes, industrial projects, high rise buildings, sewage and water treatment plants for private and public bodies and for World Bank aided projects. • The Government of Maharashtra appointed him as Structural Engineer Member of the Technical Committee on High Rise Buildings. • Municipal Corporation of Greater Mumbai leaned on his consultancy for the Mumbai Sewerage – II Project aided by the World Bank. 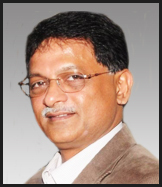 • Maharashtra Housing & Area Development Authority (MHADA) appointed him to several Technical Advisory Committees. • Government of Maharashtra and Municipal Corporation of Greater Mumbai has appointed him on several committees to suggest and implement measures to avoid Building Collapses. • On special appointment by local authorities, Mr. Dhupelia has served as Chairman and Member of many Committees for Collapse Investigations of Structures within Greater Mumbai. Leading philanthropist organizations too, like the ‘Times of India Relief Fund’, have worked with Mr. Dhupelia for the development of a new village ‘Chincholi Kate’ and for building a school after the devastating Latur earthquake of 1993. A Member of American Concrete Institute (ACI), and Past President of India Chapter of American Concrete Institute, Mr. Dhupelia received the prestigious ‘Chapter Activities Award’ for his ‘Outstanding Contribution and Dedication to the Growth of India Chapter of ACI’. This honour was conferred upon him by ACI. Mr. Dhupelia is a Civil Engineering Graduate (1962) from the Gujarat University, with Special interest in Structural Design and Engineering. 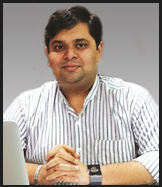 Mr. Sourabh Manjrekar, Director at Sunanda Specialty Coatings Pvt. Ltd. (www.sunandaglobal.com), is an expert on corrosion mitigation in steel and concrete structures. Sourabh is regularly invited as a keynote speaker by apex industrial bodies such as Confederation of Indian Industry (CII), and has traveled to over 20 countries as part of his technical knowledge dissemination efforts. Most notably, he was invited to be part of the American Concrete Institute, ANSI & ISO joint initiative of ISO TC 71 for making a unified umbrella global code for concrete. Sourabh’s papers on sustainability, corrosion mitigation and soil stabilization have been published in reputed national and international journals. At Sunanda, his specific focus is on developing sustainable solutions for large industrial and infrastructure projects, besides overseeing the company’s global operations from its Dubai office. Sourabh has completed his BS from Illinois Institute of Technology, Chicago, USA, and his MBA from S. P. Jain Institute of Management & Research, Mumbai. Since 1984 Umesh Magar has been in the construction industry building some of India’s most successful ‘Sustainable Integrated Townships’. His first project, the Magarpatta City in Pune boasts one of the largest IT parks in India, housing over 100 international companies besides 7500 residential apartments and 8 million square feet of commercial space. Since 2010 Mr. Magar has been managing the construction of Nandedcity – another integrated Township project spread over 700 acres, and comprising over 43,000 apartments and 6 million square feet of commercial space. Another Integrated Sustainable Township project called the River View, covering over 500 acres and consisting of 36.000 apartments plus 6 million square feet of commercial space will begin construction activities by end-2017. Numerous other construction projects in and around Pune city have been managed by Mr. Magar. His responsibilities cover a large canvas including Design and Development, Planning, Estimation, Purchase, Material Logistics, Execution, Quality Control, Security, Post-possession Operation and Maintenance, and Sales and Marketing. Dr. Raghuvir K. Salkar is the sole owner of Kuvelkar Salkar Associates (KSA) – a successful Engineering Design consultancy firm established in 1995 with operations all over India and in Indonesia. The company is head quartered in the western state of Goa and has a branch office in Mumbai. Projects designed by KSA include residential, commercial, institutional buildings, warehousing facilities, industrial buildings ranging from chemical plants, iron ore beneficiation plants, FMCG, F&B outlets and computer assembly plants etc. KSA also designs shipyards, minor ports, roads, bridges, and other infrastructure facilities. Multinationals like Procter & Gamble, and Siemens. Dr. Salkar is only a handful of Indians whose original research work has been cited in the U.S. Design Code. “Web Crippling Under Edge Loading”, by Elgaaly, M. and Salkar, R. (1991) was published in the Proceedings of AISC National Steel Construction Conference, Washington, D.C. and has also been referred to in the 2010 AISC Specification. 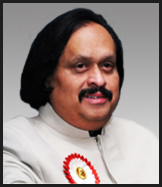 Dr. Salkar received his Ph.D. in Structures from the University of Maine, USA, 1992. He completed his Civil Engineering from the University of Bombay in 1985. Another of the gen-next front- runner, Mr. Sunny Surlaker passed his B.E. in Civil Engineering from V.J.T.I. Mumbai in 2005 and also holds a Masters in Civil Engineering from University of Michigan, Ann Arbor, USA. 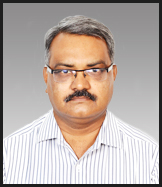 He is currently the Head of Admixture Division with MC-Bauchemie India Private Limited a joint venture with MC- Bauchemie, Germany manufacturing over 200 construction chemicals. His pursuits include Concrete Technology, Marketing, driving local R&D and overseeing the sales and technical support structure for MC- Bauchemie. He has also worked extensively in Germany and Brazil with MC-Bauchemie. Before that he was a Material Specialist with the Global Multinational AMEC Earth and Environmental, in Phoenix, Arizona, USA. He was trained extensively in Germany and Brazil with extensive experience in concrete technology, admixture technology and innovative cementitious material design for grouts, screeds and on-site admixture/additive improvements and fine-tuning. His experience further includes non-destructive testing of concrete, repair and retrofit materials, project management and training. He is a member of many organizations such as American Concrete Institute (ACI), American Society of Civil Engineers, Institution of Engineers India, Indian Concrete Institute and Indian Society of Structural Engineers. He is currently Hon. 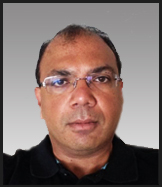 Secretary at IC-ACI and current editor of the Concrete India – Journal of the India Chapter of IC-ACI. Young, confident and vivacious, Ms. Radhika Markan, is the latest entrant in the Indian infrastructure industry. In a short span of less than three years she has already made her mark. Acclaimed for her robust international experience, deft project execution capabilities, strong leadership qualities, excellent communication skills and charming personality, Ms. Markan has been appointed CEO, Thermex Rebar Manufacturer’s Association (TRMA) and Director, India Chapter of American Concrete Institute (ICACI). 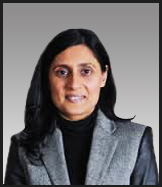 Under her leadership, H&K India has embarked on many new management initiatives. Some of these include new business development, building skill sets of the second-generation engineers, client relationship-building programmes, introducing checks-and-balances in project execution, and re-pricing of products and services. Each of these initiatives has had a direct, positive impact on the company’s bottom-line. Ms. Markan is admired for her media management skills – a quality that assists her in brand building exercises for THERMEX. the proprietary Quenching and self Tempering technology licensed by H&K India. Ms. Markan is a multi-faceted personality: deeply religious, an animal lover, and a good athlete. She spends her Sundays in honorary service, teaching students Journalism & Mass Communication. One of the new generation leaders in IC-ACI Ishita Manjrekar works at Sunanda Speciality Coatings Pvt. Ltd. Since 2010 and oversees Sunanda’s R&D, with a specific focus on developing and marketing Sunanda’s line of sustainable construction chemicals. In this role, Ishita draws on 4 years of rich experience in sustainability at Primary Global Research in San Francisco and New York. While at Primary Global Research Ishita led the “Cleantech and Green Technologies” business unit. She has been invited to feature on Bloomberg TV as well as Bloomberg Radio numerous times as a subject matter expert on sustainability and green technologies. Ishita’s expertise has also been sought by multiple print media including Reuters, Financial Times, Bloomberg, Forbes, BBCNews and Marketwatch. Ishita is a member of ACI International and works actively on various international board appointed as well as technical committees. She currently serves on the ACI International Board Committees for International Advisory Committee, ACI Membership Committee, ACI Marketing Committee, and Student & Young Professionals Activities Committee. Ishita holds a Bachelor’s degree in Chemical Engineering from the Institute of Chemical Technology, Mumbai (erstwhile UDCT). 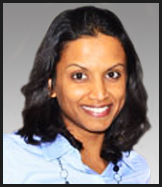 She also holds a Master’s degree in Chemical Engineering from Rensselaer (RPI) in New York, USA. Mr. Mehul Parikh holds a Degree in Civil Engineering from D. Y. Patil College of Engineering, Pune and a Post-Graduate Diploma in Construction Management. He has experience of over 15 years in the field of Civil Engineering, with a special focus on waterproofing, fibre-reinforced concrete and retrofitting. He is currently the Chairman and Managing Director of Nina Concrete Systems Private Limited. He has had a long association with IC-ACI and is currently a Director. He is the editor of the International Journal of Structural Engineers World Congress (SEWC) and Editor-in-Chief of The Masterbuilder, one of the most prominent civil engineering and construction techno commercial magazines in South East Asia. 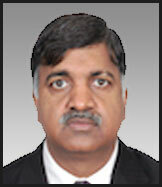 He currently is member of governing councils and member of Board of Directors of many professional bodies including Indian Concrete Institute (ICI), American Concrete Institute (India Chapter 0, Structural Engineering World Congress (SEWC), ASCE India Section and secretary of American Society of Civil Engineers, India Chapter, Southern Region. Besides he is a member of many professional institutions such as Association of Consulting Civil Engineers (ACCE), Builders Association of India (BAI), American Concrete Institute (ACI), Indian Green Building Council (IGBC). He has organised and chaired numerous International and National conferences throughout India ans a few abroad. He is recipient of many awards and recognitions including Udyog Rattan and excellence award from institute of Economic Studies, four Vishwakarma awards from construction Industry Development Council, Builder Association of India, International Quality Summit Gold Category Award, New York etc. He is the Co-Chairman of Precast Concrete Committee of ICI and member of the committee on Construction and Demolition Waste Recycling, Constituted by Central Public Works department. (CPWD), ICI. 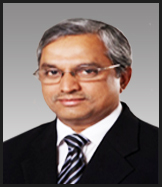 Prof. Tiwari is Vice President – R&D and Head – Concrete Research at Ultra Tech Cement Ltd. He is past Vice President of the ICI. He has worked with ACC – RCD, a premier research and Consultancy Centre in the country. A postgraduate Civil Engineer, he has over 30 years of experience in the field of Concrete Technology and Construction. His experience encompasses construction, teaching, research, consultancy and product developments for concrete industry. He has guided and examined over 20 postgraduate research dissertations in the field of concrete and construction technology. He has set-up modern academic and industrials laboratories at various institutions. He has been in the field of consultancy related to concrete technology, structural diagnosis and repair. He has authored about 66 research papers in various national and international conferences & journals. During his tenure as Vice President (North), ICI he was instrumental in starting the Bhopal and Jaipur Centre and activating other dormant centres. He was also instrumental in starting about 10 student chapters in the northern region. He has been invited and chaired many sessions in national international conference and delivered invited talks at various forums. He is member of ACI, Concrete Society UK, FIB, Institute of Concrete Technology and Fellpw of ACI, Institute of Engineers etc. 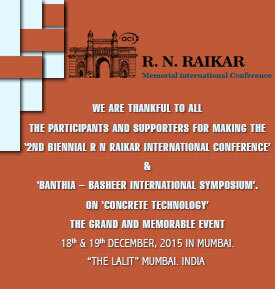 He is also member of many committees of BIS and ACI on Cement and Concrete. He is also attached with academia as AITCE-INAE Distinguished Visiting Professor at MBM Engineering College, Jodhpur. 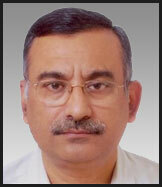 He has been in past Director on Board of IC-ACI during 2009-11. 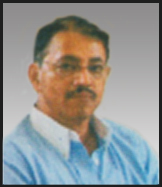 Mr. Patgaonkar actively served the Municipal Corporation of Greater Mumbai for 36 years in various fields including Building materials Testing, Soil testing, Structural design, Construction and Repairs of Municipal Buildings such as Schools, Hospitals, Residential/ office buildings, Sewerage Pumping stations, storm water drains, Bridges, Water treatment Plants, etc. He was in charge of approvals and permissions of building plans as per D. C. Regulation. From 2008 to 2011, he was on deputation to Govt. of Maharashtra and worked in Slum Redevelopment Authority (SRA) and Dharavi Redevelopment Project (DRP). He has held the important responsibilities in the development of Mumbai city in the capacity of Chief Engineer (Development Plan), City Engineer of Mumbai Municipal Corporation, and Deputy Municipal Commissioner (Engineering). He is presently a Trustee of Vajreshwari Devi Sansthan, Vajreshwari, Thane and ex-Trustee of Shree Bhimeshwar Sadguru Nityananda Sanstha, Ganeshpuri Dist. Thane. Mr. Samir Surlaker is a Civil & Structural Engineer from VJTI having 35 years of National and International experience in Construction Chemicals, Rehabilitation Concrete, and Injection Systems etc. from Europe, Middle East, Asia Pacific and India. 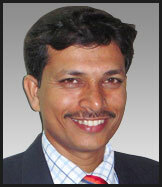 He is the Managing Director of MC-Bauchemie (India) Pvt. Ltd., a joint venture with MC-Bauchemie, Germany. He specializes in R&D in Cement-Concrete Technology especially for admixtures and compatibility. He has delivered seminars and is a speaker for many professional bodies like IEI, ACI, ICI, MES, ISRO, IRICEN, etc. in the fields of Construction Chemicals, repairs, waterproofing, concrete technology, etc. He has authored over 100 articles, papers and training notes for national and international Engineering Journals in the field of Construction Chemicals. He-is Co-Author of the Handbook of Advanced Concrete Technology. 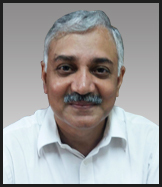 He is Fellow of The Concrete Society (UK), IEI, Indian Institute of Valuers, ICI, IASE, Indian Association of Technical Arbitrators, IIBE, IWWA, Indian Geotechnical Society, etc. He is an active member of several Professional Bodies like ACI, ASCE, IRC, Indian Construction Association, Architectural Engineering Institute, International Society for Soil Mechanics and Geotechnical Engineering, Deep Foundation Institute (USA), and Society for Protective Coatings etc. He is member of the BIS in CED 2 ,CED 5 & CED 42 committee for Waterproofing and heads sub committees for forming IS Codes for advanced techniques and materials in Waterproofing and Concrete Protection. He is member of the committee for ICI for admixtures and of several technical and organizing committees conducting seminars in the field of Civil and Structural Engineering and Concrete Technology. He received several National and International awards including “Outstanding Contribution to Concrete Technology, 2006 award by ICI, Mumbai. He is Chairman of ICI, Mumbai Centre, Director IC-ACI and President of the Construction Chemicals Manufacturers Association. 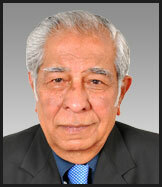 Dr. S. K. Manjrekar is Chairman and Managing Director of M/s. Sunanda Specialty Coatings Pvt. Ltd. Mumbai, manufacturers of construction chemicals and offering consultancy services in related fields for its use for last three decades. He obtained hi Ph.D. in 1977 from University of Bombay. He is a fellow Of the ACI – Parent Body. 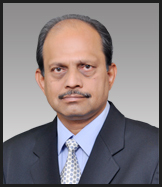 He is fellow of several other institutes like ICI, CECRI, and Institution of Chemists, etc. He has been conferred with the “CHAPTER ACTIVITIES AWARD” in 2003 in Vancouver Canada, for his dedicated service to the ACI India Chapter. He is working on several technical and admin committees of ACI as a voting member as under : 1) Committee 364 (for Repairs And Rehabilitation), 2) Sub Committee On International Certification 3) International Partners/Publications Committee 4) International Committee (IC) 5) Chapter Activities Committee 2000-2003. He served IC-ACI in various capacities including President. He was invited to participate in ISO/TC 71 meeting, a Joint initiative of ACI, ANSI & ISO working together for making unified umbrella codes on Concrete across the globe. He has been invited as Keynote Speaker at many forums including “Kuwait Cement & Concrete” in 2010 & 2007, the international forum on Sustainability with special focus on BRIC countries & many others. 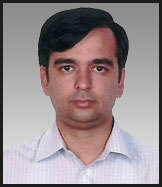 He is the Principal Convener for the ACI Certification Course (India Chapter of ACI). He has actively promoted the Field Technician’s certification course of ACI in India. One of our senior-most supporters and pillars, Mr. L. D. Shah is a doyen of the Construction Industry and needs no introduction. He has been professionally active since 1969 across a multitude of fields relating to construction and has been an active member of IC-ACI for the last few decades. Apart from consultancy from his practice at L. D. Shah and Co., he is also actively involved in training and teaching, sharing his experience with the next generation of engineers. He has held many posts with IC-ACI and is currently a Director with us. 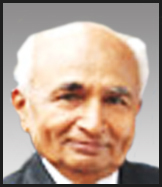 Our past president, Mohan A. Jacob received his B. E. In Civil Engineering from College of Engineering, Pune in 1962 and his post-graduate degree in Soil Mechanics & Foundation Engineering in 1964. He also received a diploma in Specialized Building Construction from ACTIM, Paris, France in 1974. He has worked in various capacities for 36 years in the C. P. W. D. on many buildings and bridge projects all over India and also in Nepal. He retired as ADDITIONAL DIRECTOR GENERAL of Works, Western Region C. P.W. D. Mumbai in June 2001. Presently he is working as a Consultant for corporate firms and also as Arbitrator for the last 10 years, including being involved as a Consultant for a major construction project of a large public sector Bank at Bandra-Kurla Complex, Mumbai. He is also active in many professional and technical institutions like The Institution of Engineers (India), ACI, ICI, IIBE, ICA, etc. Mr. Jacob has been actively involved in the activities of the IC-ACI for over 2 decades and has served the in various capacities. For his consistently outstanding devotion and Involvement in the ACI India Chapter, he was awarded the prestigious International Chapter Activities Award by ACI, USA on 26th March 2006, during the ACI Convention at Charlotte, North Carolina, USA. 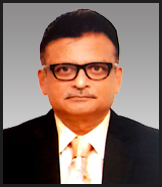 Prof. Vinod B. Vanvari, is Graduate of Civil Engineering from M. I. T. Pune, 1988 and Postgraduate of Civil Engineering – Engineering Construction & Management from V.J.T.I., Mumbai 1994. He is currently the Head of Civil Engineering department at Shri Vile Parle Kelavani Mandal’s Shri Bhagubhai Mafatlal Polytechnic (SBMP) for over a decade and is dedicated to teaching for the last 25 years. His areas of expertise are construction management, project management, contract administration, construction safety, concrete technology and building repairs and redevelopment. His areas of operation are teaching, training, research and consultancy. He is a member of many professional associations such as IEI, ASCE, ACI-USA, ICI, ISTE, and Association of Structural Rehabilitation. Prof. Vanvari has actively contributed to programmes related to technical training of engineers, young professionals and professional development courses. For SBMP he supervises the students’ in plant training and the Continuing Education Programme on Construction Site Management. He is the Course Director, Construction Supervisors Training course conducted by IC-ACI. Prof. Vinod Vanvari besides having presented over 12 technical papers in national and internal conferences has co-authored five modules for working professionals under CEP scheme of AICTE. He was instrumental in evolving the curriculum for Building Maintenance Repairs & Services, Project Management and Transportation Engineering at Polytechnic. Prof. Vanvari was Honoured Professional by Mumbai Centre of Builder’s Association of India, in 2006, for taking initiative in conducting orientation programme for professional development of fresh Civil Engineers. He was awarded Best Project Award by University of Pune, 1988 for project titled “Improvement of bathing Ghats at Alandi” while his studies at M. I. T., Pune. Mr. Pankaj Shah is Chairman & Managing Director of M/s S. P. Consulting Engineers Pvt. Ltd., which manages construction projects of more than 30 Lac square feet. A civil engineer with over 30 years of experience, Mr. Shah is renowned for his expertise in the field of Repairs & Rehabilitation for Large Housing townships, Commercial Complexes, and Industrial projects for Private and Public Bodies. He has also been providing Project Management Consultancy (PMC) services for Redevelopment of Housing societies in Mumbai. His office is located in a fast growing prime commercial area in Lokhandwala, Mumbai. Mr. Shah has been on the Consultancy panel of various Private and Public companies like ICICI Prudential Asset Management Company, Oriental Insurance Company, State Bank of India, Central Bank, Bank of Baroda, Shri Vile Parle Kelvani Mandal, and Shree Siddhivinayak Temple Trust among others. He has authored numerous papers on various aspects of Civil engineering, Project Management, and construction. 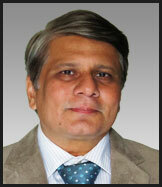 Mr. Shah has been involved with IC-ACI for over a decade. Previously he has served in the capacity of Director, Hon. Secretary, Vice President and President of IC-ACI. He regularly represents IC-ACI in various international and national conferences. Chetan R. Raikar is the fortunate son of late Mr. R. N. Raikar. He has been associated with IC-ACI for more than 22 years and has been involved in almost every activity of the Chapter. He is a Structural Engineer by profession and has a Post Graduate degree in Conservation of Heritage Structures. Currently, he is the CMD of M/s Structwel, a multi-disciplinary organization in the construction Industry, with more than 47 years of standing. Recognised as a concrete expert by the industry, he has experience of more than 30,000 design mixes of concretes upto M 90 grade including specialized mixes for guniting, SCC, RCC, no-fines concrete etc. He specializes in Non Destructive Testing and health assessment of various types of structures, World’s largest refinery, more than 100 bridges, ESRs, Marine structures, Silos, Chimneys, Cooling Towers etc. 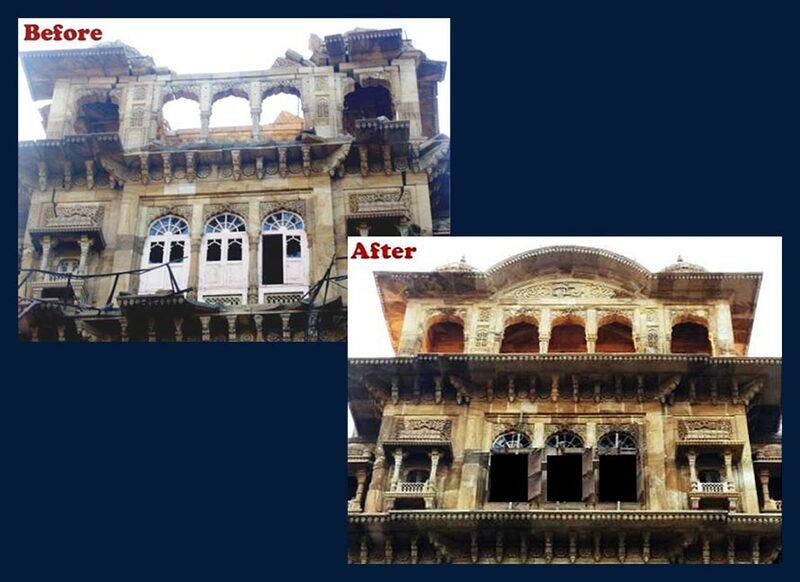 Chetan also specializes in conservation of heritage structures. He successfully completed the Conservation of The Taj Mahal Palace Hotel Colaba, after the 26/11 terrorist attacks, CST (VT) Station, Gateway of India etc. He has contributed in structural restoration of over 50 fire damaged structures & and 5000 Earthquake damaged structures. Chetan was instrumental in starting the Technician training courses in association with ICACI. He was the recipient of “Young Member” award from ACI in year 1998. Recipient of several national & international awards. Chetan has been on several committees constituted by the MCGM and State Government of Maharashtra.